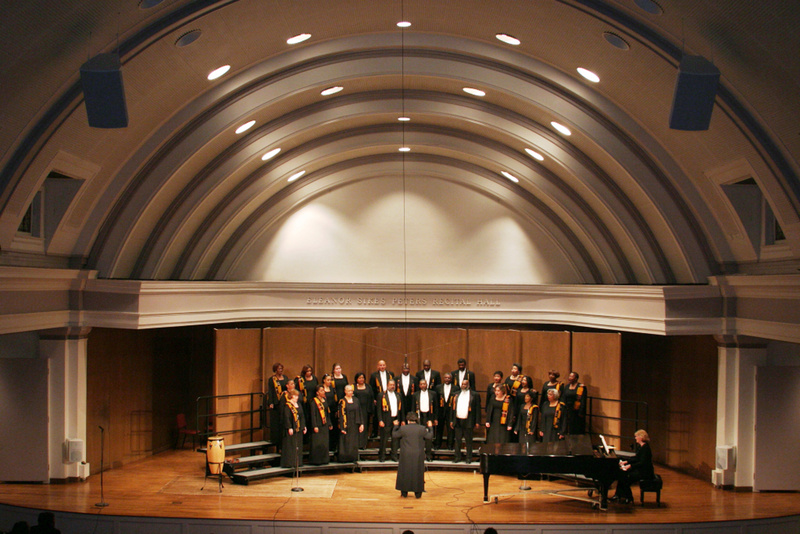 The Heritage Ensemble held its inaugural concert on August 19, 1999, at Dingledine Music Center on the campus of Bradley University. A core group of performers who had performed together for more than ten years was called upon to become the pivotal community in the Opera Illinois production of Porgy & Bess. In preparation for this production, we performed “A Concert of Spirituals”. This production required that we research our rich heritage and develop a deeper appreciation for the rich body of literature that we celebrate as Americans. This venture marked the beginning of a choral ensemble that is sure to withstand the test of time. Our mission statement serves as a constant reminder of the important work that lies ahead of this ensemble, especially as it relates to the youth in our community. The Heritage Ensemble continues to tear down walls and build bridges as we collaborate with other community and civic organizations. We continue to embrace and nurture the youth in the development of The Youth Heritage Ensemble, serving young people in grades 6- 12. What a wonderful way to continue service this great community! Since our inaugural concert, the community has recognized that The Heritage Ensemble sings with a grand purpose — making the community a better place in which to live. This recognition has come in various ways, including but not limited to the Sigma Gamma Rho Distinction Award, the President’s Volunteer Service Award, the Central Illinois Interfaith Award, and the Pekin YWCA One Imperative Award. We are humbled by these prestigious awards, and vow to continue in our quest to ”tear down walls and build bridges” in this community.